Help meet Licensing and Accreditation Requirements with a systematic way of tracking hand hygiene actions, precautions and personal protective equipment. Ensure accountability and give yourself peace of mind over quality and safety requirements. 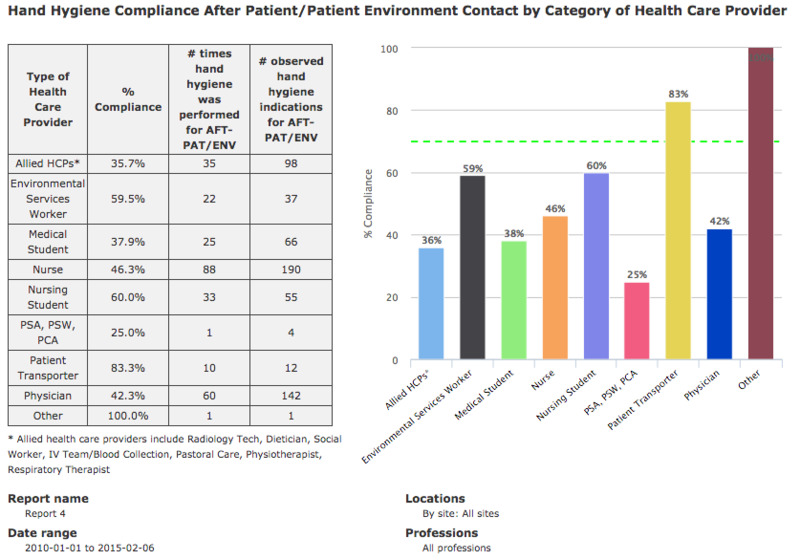 SpeedyAudit helps you in the process of identifying infection control problem areas and patterns to help you meet licensing and patient safety requirements quickly and easily. Make auditing at your facility more engaging! SpeedyAudit has an easy-to-use interface and requires minimal infrastructure, encouraging uptake among staff. It is a lightweight app - allowing anyone to login and start auditing. SpeedyAudit also allows offline data collection, so you can continue auditing in areas with no internet connectivity. SpeedyAudit Lite is free! You can capture hand hygiene actions, and organize actions by individual healthcare providers, different sites and units on your mobile device. 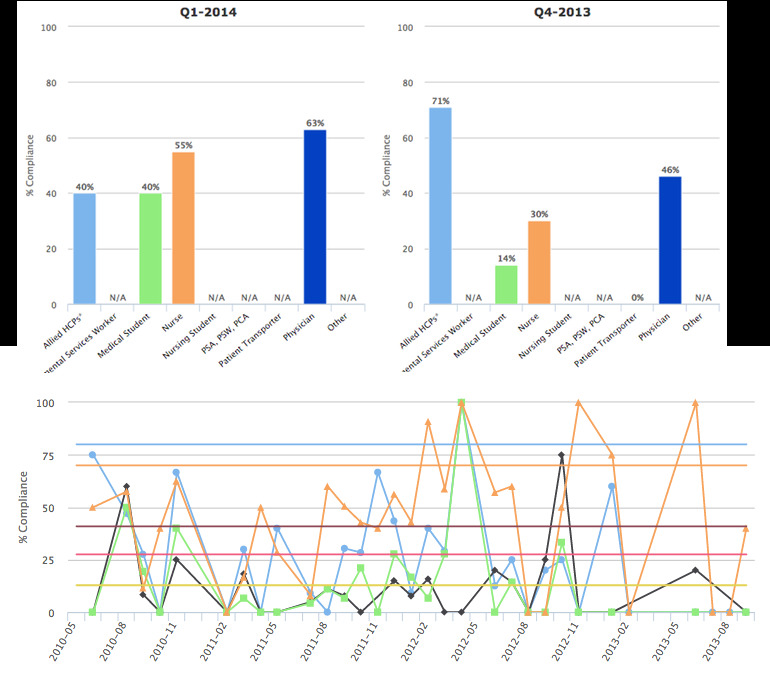 You can also easily view reports and email yourself the data. Our affordable, paid versions (Pro and LTC) are cloud-based, sending data to your facility’s centralized web portal, where you can aggregate data from multiple auditors and facilities, create reports, and view trends and compliance over time. SpeedyAudit Lite is a free hand hygiene auditing app that works on mobile devices, allowing you to capture hand hygiene actions, precautions and personal protective equipment with your phone or tablet. The tool captures 4 and 5 moments and In/Out standards of auditing. SpeedyAudit Pro and LTC include a web-based reporting portal aggregating data from multiple auditors and sites, automating data analysis and report creation. It’s so easy to get started with SpeedyAudit - go to the App Store or Google Play Store and download the app for free! SpeedyAudit LTC has assisted me at the corporate level to ensure that all homes are performing the necessary and very important hand hygiene audits. The reports provide me with valuable data. At the home level, hand hygiene became a more trendy word since now hand hygiene is monitored with new technology. Staff have saved much valuable time by completing their mandatory audits via the SpeedyAudit app instead of on paper." - Marion Godoy, RN, BScN, Responsive Health Management Inc.
Automate your reporting with SpeedyAudit's range of powerful and versatile reporting tools. Reports are available for 4, 5 moments, and In/Out auditing. Filter by date, facility site, unit, profession and/or auditor.